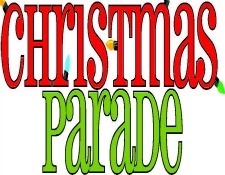 This coming Sunday(December 4th) is the annual La Jolla Christmas parade. We are well under way with prepping our float for this year’s parade – the theme is “Christmas in the Future”. We are planning to start the building/decorating process on Saturday(December 3rd, time will be sent out in a couple of days) and we will need help early Sunday morning as well for final float preparations – starting at 8 am . If you can join us for any of those times please email Jennifer Barber-Singh with details on how your family can help us – building/decorations/child riding (please include what they will be dressed as). The float committee looks forward to another award winning float & we need all the help we can get!! Also, Jennifer will be in the Jr yard after school Tues-Friday for ornament decorating that will be used on this years Christmas tree on the float – feel free to hang out for a little bit and help us make our tree futuristic!